HW1 Single-Cylinder Head (0.2ohm) and HW2 Dual-Cylinder Head (0.3ohm) are designed for Eleaf Ello Mini Atomizer. HW coil will give you ultra vaping experience of great flavor and satisfying amount of vapor production. 5pcs each pack. Eleaf have engineered a new HW series of coils. HW1 Single-Cylinder Head (0.2ohm) and HW2 Dual-Cylinder Head (0.3ohm) are designed for Eleaf Ello Mini Atomizer. 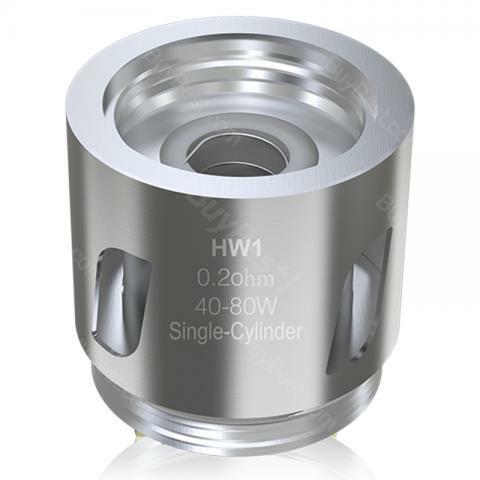 HW coil will give you ultra vaping experience of great flavor and satisfying amount of vapor production. 5pcs each pack. • It's for Ello Mini and Ello Mini XL. • Please don't vape until e-liquid nearly runs out. Otherwise, the coil inside will be damaged. All right! The seller quickly processed and sent the order! Super item! excellent goods! Super seller! Good luck! Goods arrived very quickly. Until that vaporizers not опробованны since old more vporyade. The results announced later as test product personally. Eleaf Ello Mini HW Coil is a 5pcs/pack coil. Compatible with Ello/Ello Mini/ Ello Mini XL; with varying Resistance of 0.2ohm & 0.3ohm.